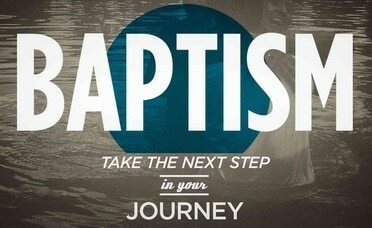 Baptism marks the beginning of a journey with God and with others who believe and follow Jesus. It is a time when we rejoice in God’s faithfulness and when we make really important promises to God. Baptism is a superb symbol that tells the story of how God rescues us from all the things that we would rather not have thought, done or said – it’s the sin that Jesus died for. Sometimes we have Adult Baptisms by full immersion in a pool of water where that symbolism is even more apparent. Some people don’t want to make the commitment involved in baptism yet still want to celebrate the birth of a new baby. We therefore offer a Thanksgiving Service, where no water is involved, and yet, like Baptism, it’s a wonderful celebration of God’s goodness in giving us children through birth or adoption. At a Child’s Thanksgiving Service parents give thanks to God for the gift of their child so that when they are older they can make their own decision about Jesus. Like Baptism we encourage parents to choose friends to pray regularly for them, and we give a Children’s Bible explaining the amazing stories of God’s love. If you would like to arrange a Baptism or a Thanksgiving service, then the first step is to contact us and a member of St John’s will come and visit you in your home to talk further with you.